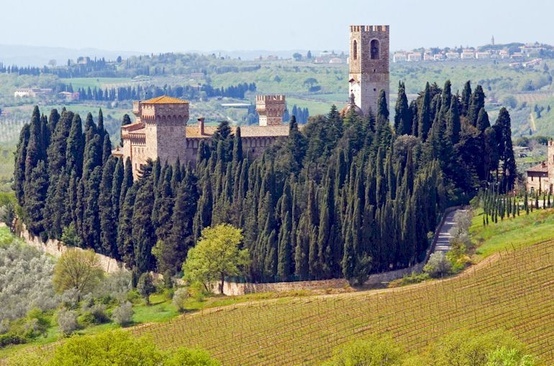 The hamlet of San Leolino very near Panzano in Chianti is home to the parish church of the same name. 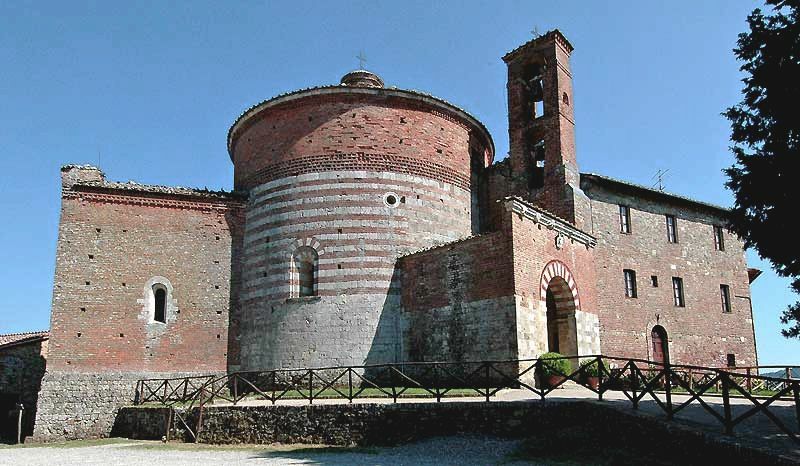 The Pieve di San Leolino is first recorded in the year 982, under the name of San Leolino in Flacciano in a parchment held in the Abbey of Passignano, but two sculptural fragments housed in the church strongly suggest an even more ancient origin. The church, as it exists today, dates from the 12 C and was of great importance, with 14 dependent suffragan churches, including one inside the castle of Panzano. 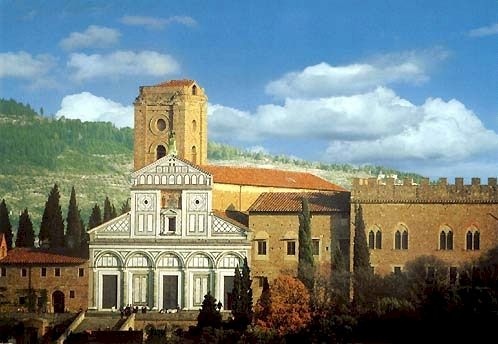 In 1508, the patronage of the church passed to the Hospital of Santa Maria Nuova in Florence and in the 16 C, a restoration and transformation began that gave the outward appearance of the church visible today. The parish church of San Leolino is a basilica with three naves separated by square albarese limestone pillars and with a ceiling supported by wooden trusses. In the 16 C, the portico in the facade was constructed using sandstone columns. During the 16 C, the semicircular apse was demolished and replaced with a quadrangular apse, while the two smaller apses date from more recent times. In the 18 C, the San Leolino was transformed internally in Baroque style. The walls were plastered and side altars were built. All of these interventions were removed during a major restoration in 1942 and the floor was redone during the restoration of the early ’80s. A portal located in the right wall leads to a small cloister, which has a wooden roofed porch supported by brick columns. 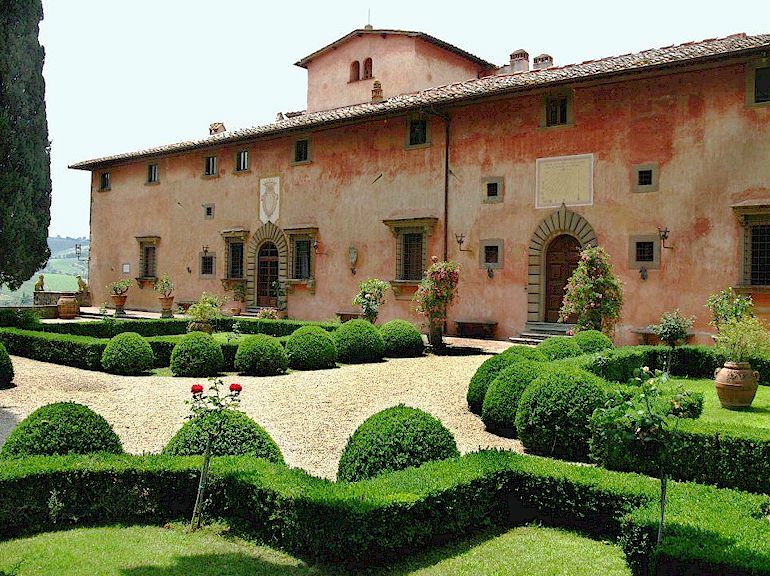 On the side from the porch is the entry to the rectory, the style of the doors and windows of which indicate that it must have been completed in the 16 C. On the left side of the facade is the oratory of the Compagnia del Santissimo Sacramento. It is a small church characterised by a simple and dignified 18 C façade. 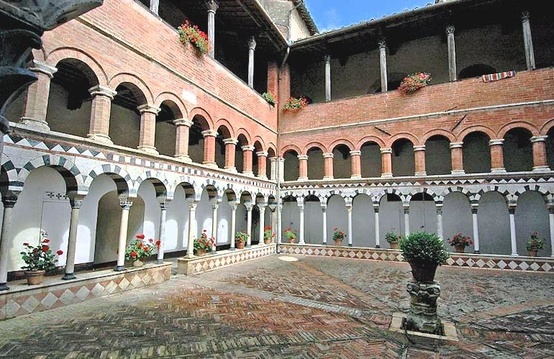 The 14 C cloister of the Pieve di San Leolino is worth seeing. 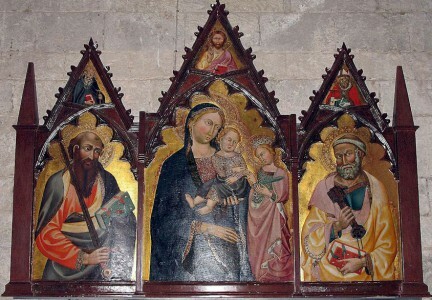 The 16 C terracotta tabernacles are attributed to Giovanni della Robbia, and there’s also a remarkable triptych attributed to the Master of Panzano that was executed sometime in the mid-14 C.
More about the Pieve of San Leolino near Panzano in Chianti. More about the romanesque parish churches of Chianti. Hotel Villa Le Barone is traditional villa hotel near San Leolino and Panzano in Chianti, central Tuscany. The air conditioned rooms are furnished with antiques, and guests have the use of a large swimming pool, restaurant and extensive grounds, as well as a tennis court. 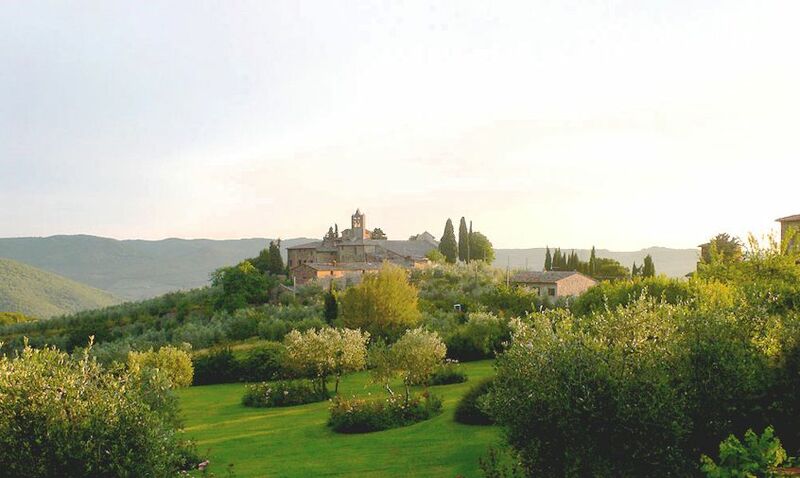 More about Villa Le Barone luxury hotel near Panzano in Chianti.